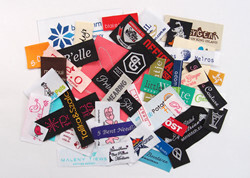 At GAA, we supply Damask woven labels, Satin woven labels, Taffeta woven labels and Cotton woven labels. 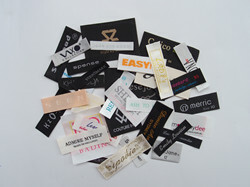 We also have damask woven edge labels, which are made by needle loom. Satin woven labels are soft, smooth and shining. They are very popular labels. Taffeta is the most economical woven label and is priced lower than damask and satin. 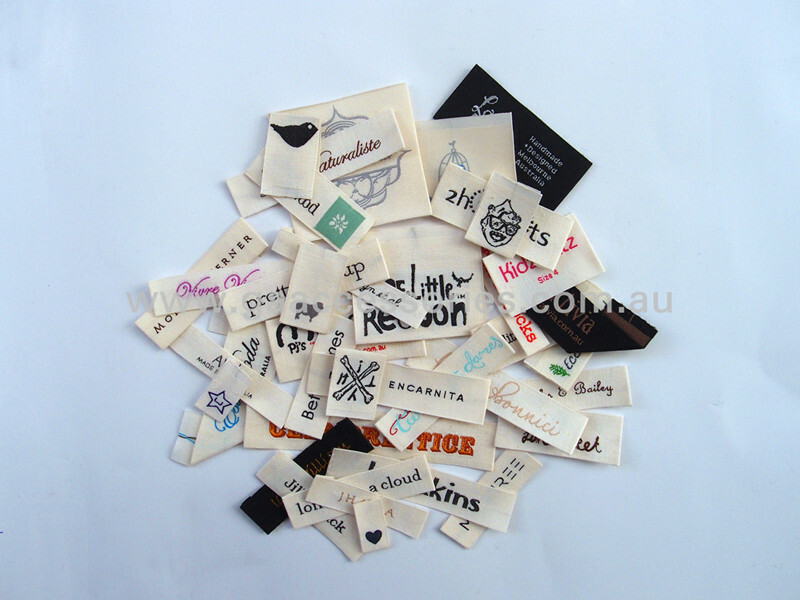 We also do satin woven edge labels, which are made by needle loom. Cotton woven labels are the softest woven labels. They are made up of cotton yarns and have natural looking. The text colours are optional but the background is fixed natural colour or black. The price is a little bit higher than other woven labels. We supply woven labels with straight cut, end-fold, center fold and Mitre fold finish.